Idli milagai podi / Idli podi (Gun powder in English) is a must & should side dish for idli, dosa in every South Indian’s house. 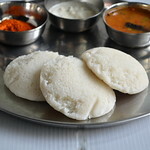 No matter about the varieties of chutney and sambar, we love to have at least one idli or dosa mixed with idli podi to finish our breakfast/dinner. Most of the time we manage to eat instant dosa varieties and idli varieties only with this idli podi as side dish. 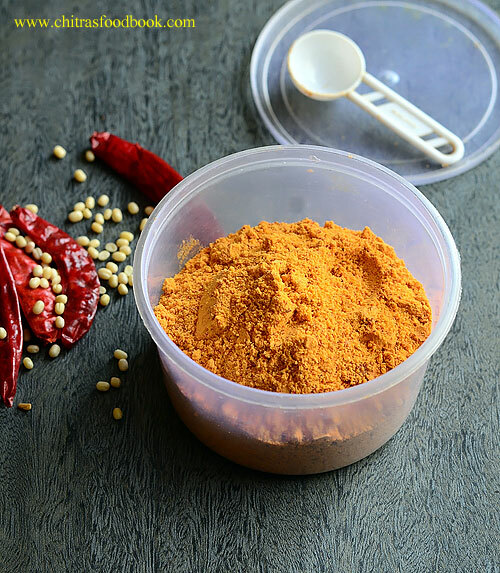 Even though we prefer homemade idli podi, sometimes I love to buy Sakthi or Aachi idli milagai podi just to enjoy its smooth texture because we grind it slightly coarse. 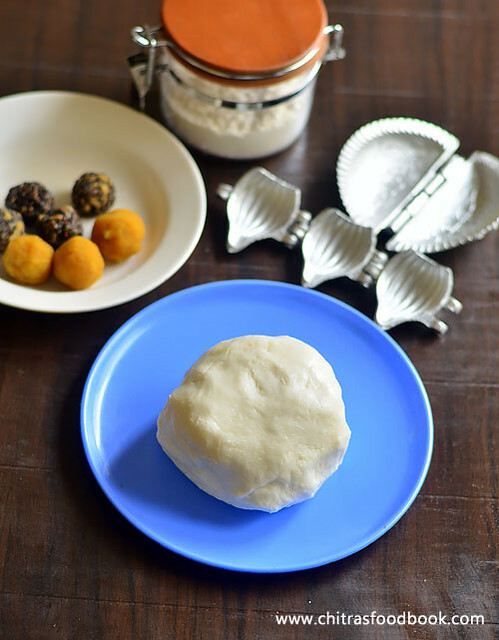 Today I have come up with my MIL’s style simple idli podi recipe ( We call it as Ulutham paruppu molaapdi in Tamil) with 4 basic ingredients. 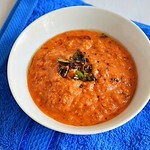 Urad dal, chana dal, red chilli, hing and salt forms the base for this recipe. 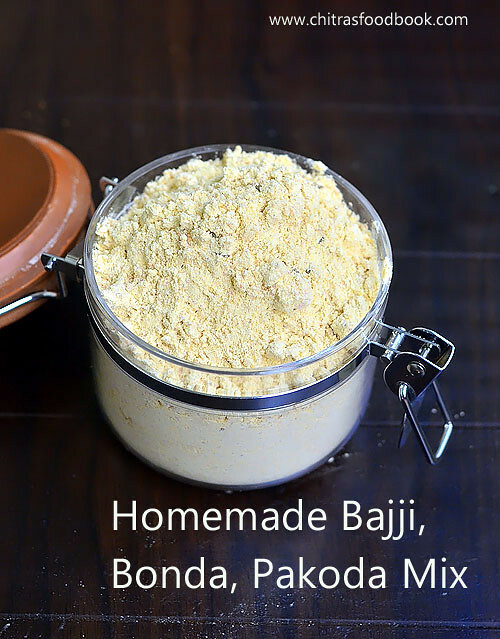 However you can make N number of variations in this podi recipe by adding garlic, sesame seeds, dhania (Coriander seeds), Jaggery, black urad dal, rice, tamarind, coconut and even horse gram and flax seeds. 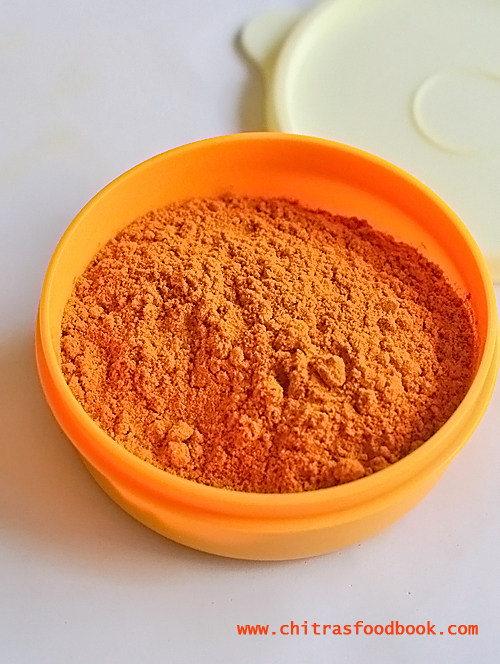 Remember the color of idli podi varies as per the red chillies and the way you roast it. 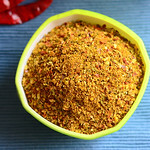 Long back, I have already shared my mom’s most popular idli milagai podi with garlic. 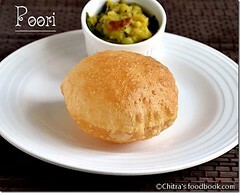 Soon I will try to share the remaining podi recipes with yummy variations. Now lets see how to make this simple idli milagai podi recipe at home with easily available ingredients with step by step pictures. Heat 1 tsp of oil in a pan. Roast chana dal and urad dal in medium flame till golden. Remove in a plate. Add hing to it. Heat 1tsp oil in the same pan and roast the chillies till crispy and golden brown. Add the roasted chillies to the dal. Cool down. Add salt and grind everything to a fine or slightly coarse powder as you like. 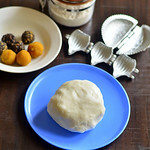 Store in an airtight box and enjoy with idli, dosa drizzled with gingely oil. Heat 1 tsp of oil in a kadai. Roast chana dal & urad dal patiently in medium flame till golden brown. Remove in a plate. Add hing to it. Heat 1 tsp oil in the same kadai and roast the chillies in medium flame. Do not burn the chillies. Remove when it becomes golden. Add to the roasted dal. Let the mixture cool down. Add salt and grind to a slightly coarse powder or fine powder as you like. Remove in an airtight box. 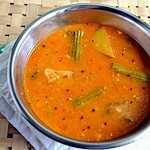 Use clean spoon and serve with hot idli or dosa. It stays good for 15 days to 1 month. This idli podi tastes very spicy on the first day. But all the taste gets balanced from the second day and becomes good. For variations, you can add 2 tbsp of dry roasted sesame seeds and grind it. You can also add few raw garlic cloves while grinding. Try this simple idli podi recipe at home and enjoy with hot idli and dosa drizzled with sesame oil or ghee ! Bajji, Bonda, Pakoda & Vada are the most popular tea time snacks recipes in India especially South India.Most of us make these crispy, deep fried delicacies during weekends or for guests as evening snacks.My friends in Tamil nadu buy Aachi or Sakthi bajji bonda mix powder regularly.But in my family, both MOM & MIL never buy store bought bajji bonda mix.They make it fresh whenever needed. 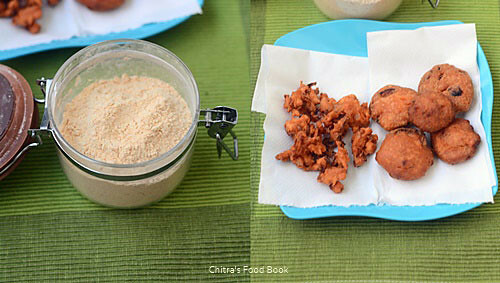 Both follow the same proportion of besan flour and rice flour to make bajji batter / Bajji maavu. By learning from them, I can make different types of crispy bajji recipes at home easily.Not me, anyone can make it perfect if you know the right proportion of ingredients & the consistency of batter. I never thought of making homemade bajji, bonda mix recipe until Raksha started to eat them during weekends or holidays very often. Whenever I ask her choice of evening snacks, her reply would be mostly onion bajji or homemade cake. I don’t make cakes thinking about the consumption of maida. So I prepare onion/potato bajji or pakoda based on her wish. Sometimes I feel lazy to make it. So I started making bulk quantity of my own, homemade bajji, bonda mix and store in refrigerator for a month. It stays good even without refrigeration. I don’t add food color or cooking soda in the mix. I add them while making bajji only if needed. 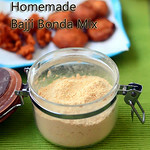 Lets see how to make bajji, bonda mix at home easily! 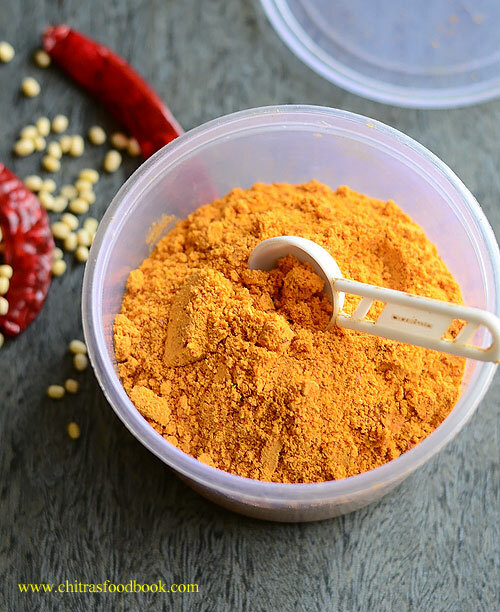 If you have this mix in hand, you can make varieties of bajji, bonda or pakoda in just 5 minutes. I hope all the moms like me would find this post useful. 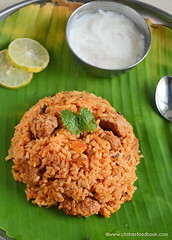 Do check out my rava upma mix and instant poha upma mix recipes too. 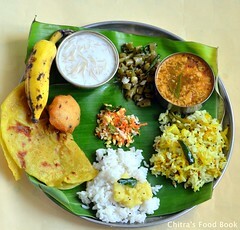 Check out Raw banana bajji, Potato bajji, onion bajji, Karpooravalli bajji, aloo paneer bonda, Potato bonda, Instant bonda, Mangalore bonda, millet flour pakoda. In a wide bowl, mix the besan flour, rice flour, red chilli powder, cumin seeds or ajwain, salt, food color ( if using) and mix well. If you want, you can sieve the flour, salt, chilli powder for uniform mixing and then add cumin seeds. Adding soda in the mix makes the bajji absorb more oil while frying.So add baking soda while making bajji. 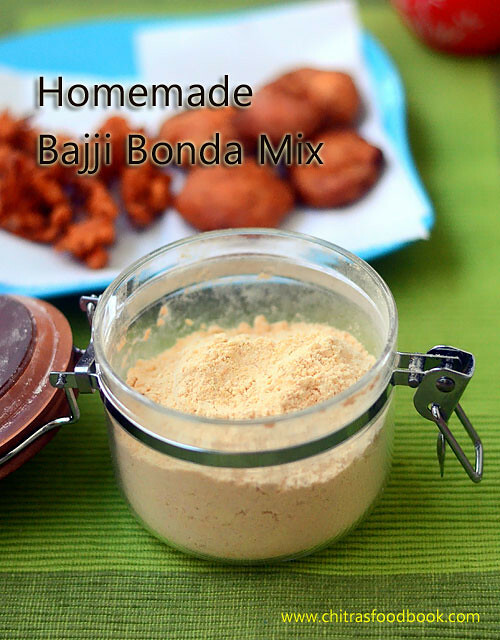 To make bajji or bonda : Take the required quantity of bajji mix in a bowl.Add a pinch or dash of cooking soda. Mix well.Add water to make a slightly thick batter. If the batter is too thick, vegetables won’t get coated properly. If the batter is thin, bajji will have tails. 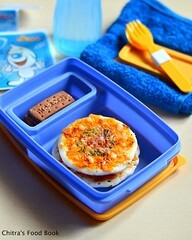 So add water gradually. Dip the vegetable in the batter, deep fry till golden in color. Please refer my ONION BAJJI RECIPE & POTATO BONDA for more details. To make onion pakoda : Take the required quantity of bajji mix in a wide bowl.Add thinly sliced onion and mix well. Rest for 5 minutes. Add water and make a thick paste. Onions should be coated well. Add some hot oil and make pakoda. 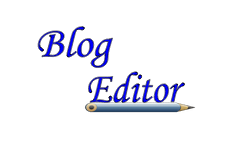 I will try to make a detailed post soon. Check out my Millet flour onion pakoda if interested. Adding Kashmiri chilli powder gives a nice color to the bajji. You don’t need to add food color too. You can store this mix upto one month. 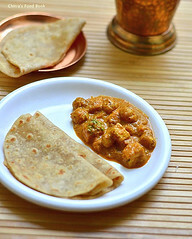 For masala flavor, you can add garam masala powder & ginger-garlic paste while making bajji. Make this easy mix at home. Enjoy bajji, bonda anytime ! I learnt this recipe from my MIL. Last time when I went to Salem,she kept this podi as side dish for for idli, dosa. Basically Sendhil loves pepper flavored recipes a lot. So my MIL had prepared this pepper podi specially for her son . We loved it very much and I noted down the recipe immediately. As we all know pepper has amazing health benefits. 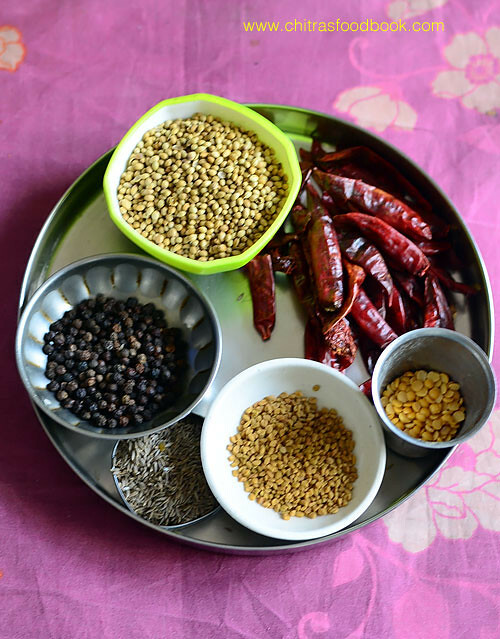 South Indians include pepper in their food by making rasam, milagu kuzhambu & ven pongal. 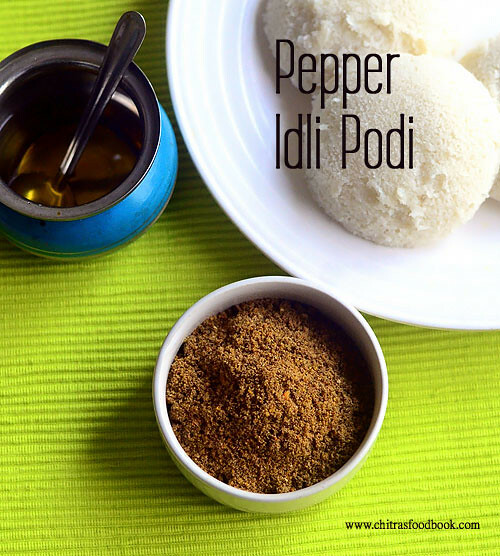 Apart from these recipes, I feel this pepper idli podi is a great way to include pepper in our regular diet. The quantity of pepper consumption is more in this podi. It should be served by mixing with ghee or sesame oil. It tastes the best with hot idli & dosa. 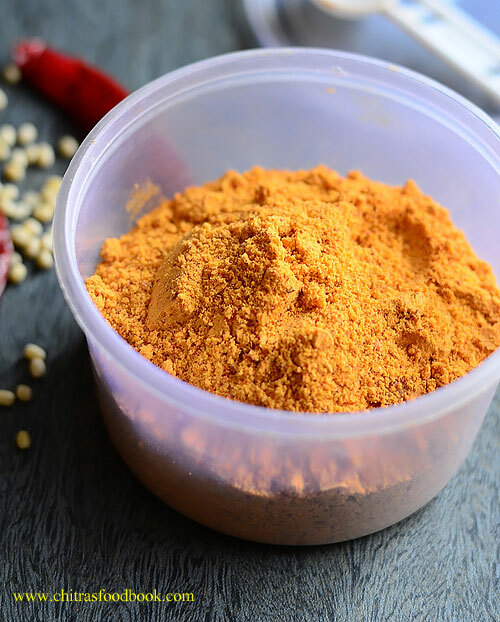 Do try this pepper idli podi for a change and reap the health benefits of pepper.Lets see how to make spicy pepper powder for idli and dosa with step by step pictures ! 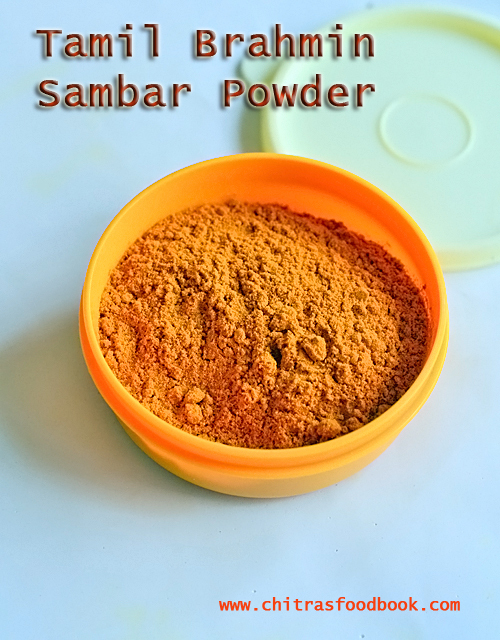 Check out my ellu podi/ Sesame seeds powder for idli, dosa. Its also an interesting & unique recipe . Thandai is a very popular drink in North India that is mainly served during Holi festival and Maha Shivratri. This drink is the best coolant for body with lots of health benefits as it is prepared with the combination of nuts, whole spices and milk. Yesterday my neighbor called me to enquire whether we get readymade thandai masala powder or thandai syrup at shops nearby my house. I browsed for some good brands and told her to get Patanjali or Haldirams Thandai powder as these are the well known names to me . She searched in shops but couldn’t get it. So I thought of preparing homemade thandai masala powder and share with her. 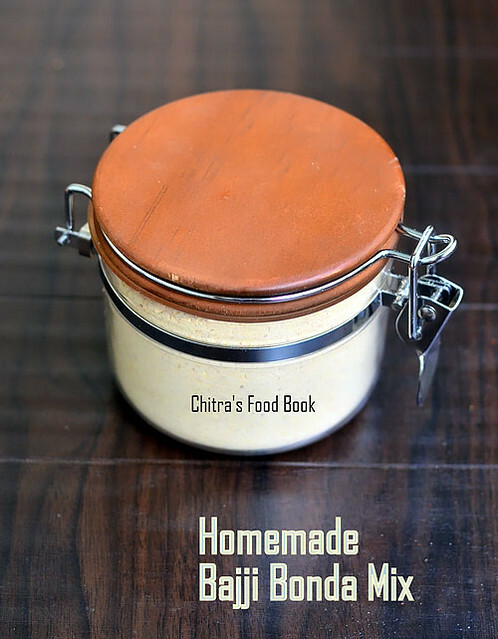 As I had already shared the recipe of thandai from scratch, I know making at home is very easy. I used to make it regularly for every Maha Shivaratri festival along with our South Indian style arisi vella puttu and offer to Lord Shiva. This year I was planning to make the same following my recipe. But now after my neighbor’s suggestion, I wanted to make and store this homemade thandai masala in advance and prepare it quickly on Shivrathri day. 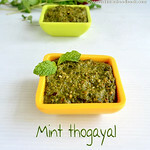 I watched some You tube video recipes and adapted this recipe.I have also watched a video from BBD TV’s travel escapades in which the preparation of thandai with & without bhang from a popular shop in Ujjain was shown.I found it very useful. 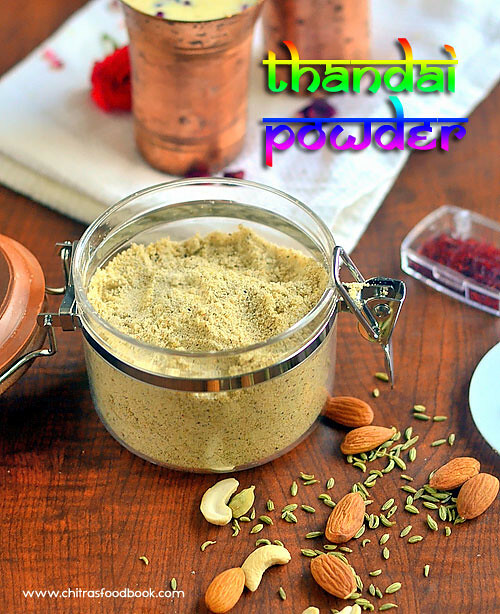 For this thandai powder recipe, I could see many variations across the web.Some recipes are very simple with just 4 ingredients and some recipes are with bhang as well. But in this recipe, I have not used Bhang . Basically bhang balls are made from hemp seeds and leaves which are washed, cleaned and grinded to a smooth paste. But it should be used in minimum quantity as over dosage induces psychosis, excitement, uncooperativeness and hallucinations. 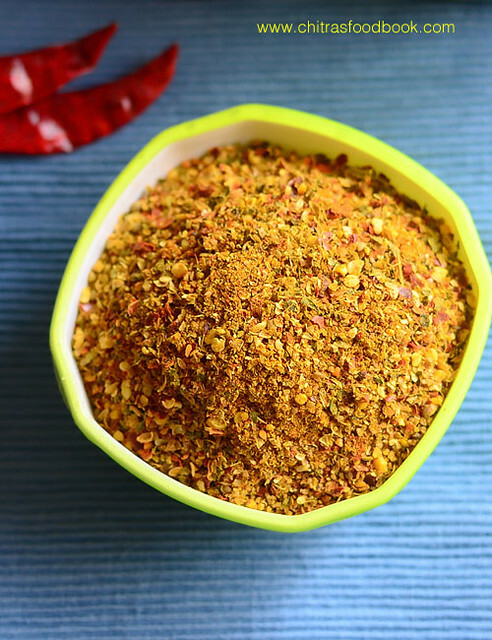 This is a very simple thandai masala that can be prepared with easily available ingredients. I have used Khus Khus in this recipe. I know its banned in some of the countries. In that case, feel free to skip it.Yesterday I made thandai using this powder and it came out very well. It was refreshing and we loved it a lot. I have passed some of this powder to my neighbor. I hope her family will like it too . 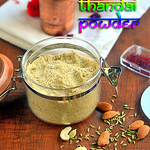 Ok, lets see how to make Thandai masala powder at home with step by step pictures. 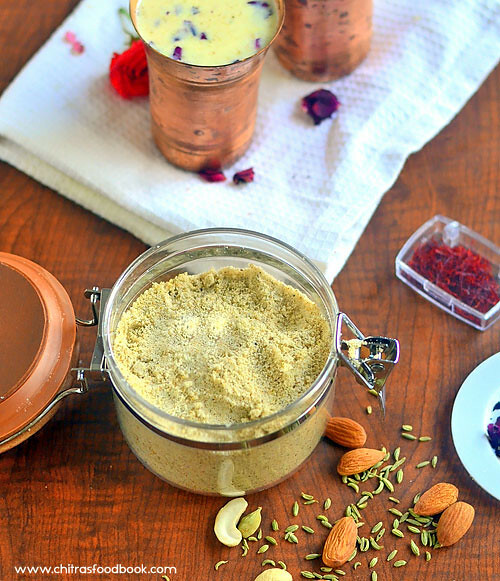 Take all the ingredients for thandai masala and keep it ready. Grind them to a fine powder using a mixie. Sieve it and again grind the coarse ones. Use the remaining leftovers for making fresh thandai or lassi. Mix the powder well with a spoon and store in a box. Thandai masala powder is ready ! This powder can be stored for 2 months in an air tight box. Use clean spoon to handle. To make Thandai : Boil thick, full cream milk and let it cool down to room temperature. In a wide bowl, put few ice cubes, add 2 cups of milk and 1 tbsp ( i.e 5-6 tsp) thandai powder. Mix well. 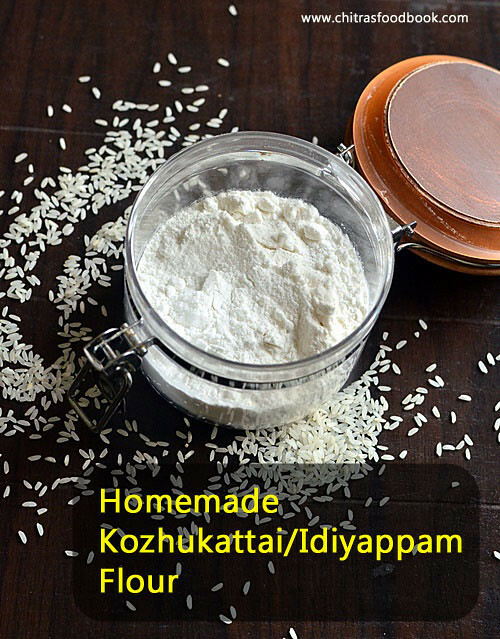 Check for taste and add more sugar or thandai powder if needed. Strain it using a cloth strainer( Tea strainer) and serve it. If you want to serve later, refrigerate it till use. It tastes the best only when served chilled. The more the standing time, the more tasty it would be! Straining is more important.Do not forget to strain the milk after adding thandai powder. 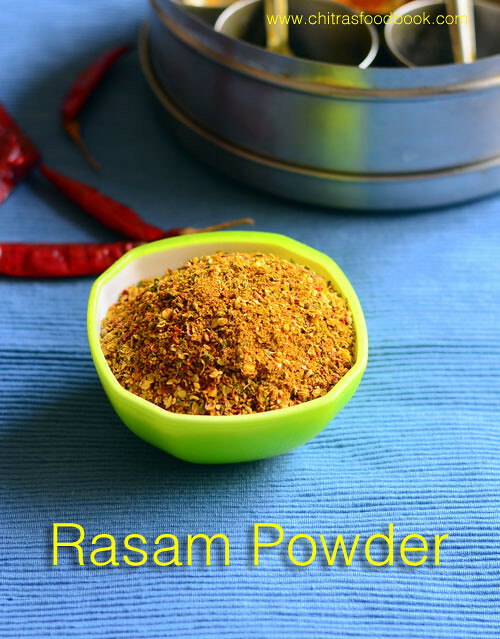 There is no hard and fast rule in the quantity of ingredients for masala. You can reduce or increase it as per your like. I felt pistachios are not needed as it was not mentioned in the Ujjain video.Still I had used just 1/2 tbsp of it. Do not add more. It would dominate the other ingredients in flavor. Do not add more pepper corns. 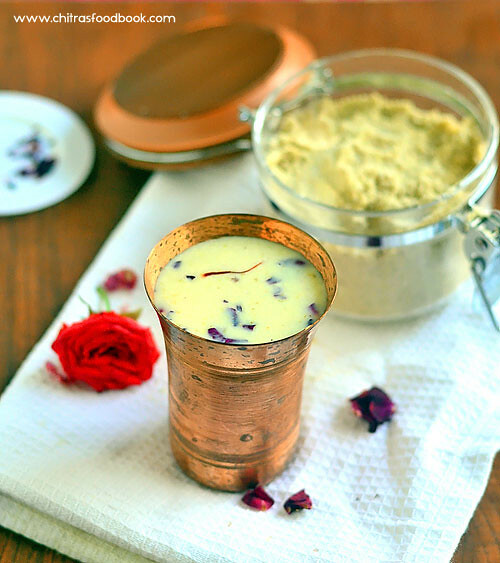 The color of thandai is usually sandal in color if its made without bhang. It looks green when bhang is added. 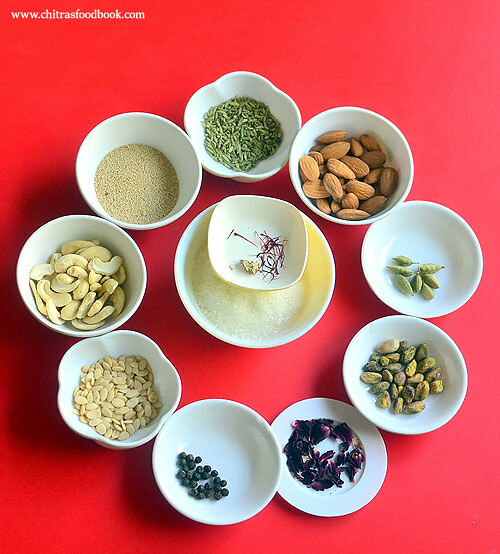 Adjust the amount of cardamom and fennel as they are the flavoring ingredients for thandai. Try this Thandai powder at home and enjoy this refreshing drink instantly at your will !